We are also dealing in Euro Pallets. - Size & design: As per clients provided specifications. We are offering Euro Pallets to our clients. 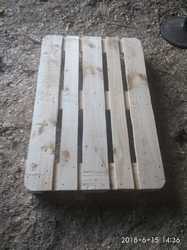 These Euro Pallets are available in various sizes and specifications. Our Clients can buy it from us at competitive prices in standard as well as customized shapes and sizes as per their requirements. Our range of euro pallets is made from qualitative wood that makes it last long and a preferred choice for packaging various commodities. These pallets are a cost-effective packaging solution opted by various industries. It is well designed and is available in various sizes and shapes as per the needs and requirements of varied client. Typical uses : For stacking in Warehouses, Containers, Material Handling in Factory. 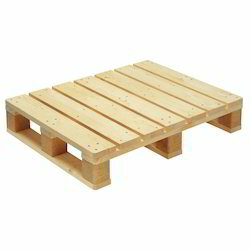 We manufacture specially pallets for food industry made out of wood free materials & at comparable price to wood. We bring forth a vast assortment of Euro Pallets, which has achieved rich accolades from the clients, owing to its durability and sturdiness. Further, it is manufactured using fine grade wood and latest technologies. Besides, we benefit the clients by offering them a customized product as per their requirement. Our array finds extensive usage in varied industries for the packaging purposes.